I doubt that anyone living in the US knows the city of Metz (pronounced Mess, even the majority of French people pronounce the “T” which is incorrect)…I know it because I went to school there and it’s located 50 km from Nancy where I grew up, and very close to the German border. Basically, Metz and Nancy are rivals in almost everything, from their soccer team, to their opera house, to their architecture, their “green city” title, etc…They’re 50 kilometers apart and yet very different architecturally, each city is very unique, and has a different feel to it. The funny thing is that they hate each other, and Messins (people from Metz) and Nancéiens (people from Nancy) can argument that their city is much better than the other one with a violent passion. In my opinion and without being biased, Nancy is brighter with its Art Nouveau, and École de Nancy style, Stanislas Square, Vielle ville (old town) etc…Now Metz has pretty architecture as well, very massive but more on the Germanic style, heavier, but very quaint and chic. One thing I love about Metz is their delicious specialty desserts, and this one is an example. Of course, growing up in Nancy I tend to defend my city. Is it wrong? Probably because Metz is somehow linked to memories about the time I was in business school which I hated, so I would on purpose miss the train in the morning, to go back home. One day, I was researching on the internet the life our King Stanislas to somehow refresh my memory, and almost by miracle I found this wonderful blog called “Du Miel et Du Sel” a poetic cuisine and recipe blog, beautifully written by a talented food journalist and cookbook writer, Marie-Claire Frédéric. She also publishes recipes on Cuisine Actuelle magazines that are sold in the US as well. For the Francophone, her blog is a pure delight to read and her recipes simple, elegant or traditional but always incredibly delicious. I wanted to feature this dessert that somehow intrigued me, not because it came from Metz, but because it looked so fluffy despite the absence of baking powder. Besides this is an ancient cake with no butter or oil, the fat comes from the cream so you won’t get a greasy heavy cake like our modern ones. This one is incredibly moist, so light and fluffy, you need to try it to believe it. I was doubtful first, but will make this cake again. I have a friend from Germany coming for dinner tonight, so this gâteau au chocolat is perfect and might remind her of home too! Merci Marie-Claire, le gâteau etait succulent! In a large mixing bowl, beat eggs and sugar for over 5 minutes until they triple volume. They need to become white and fluffy (like a Génoise technique). Grate chocolate, I chopped finely chocolate chips so they will incorporate to the dough very well. Add very carefully chocolate to the egg/sugar mixture, fold flour carefuly, then proceed with cream. You want to keep the mixture fluffy and light. Butter a non-stick deep dish pan. Pour mixture and cook for about 40 minutes in a pre-heated oven at 370F. Let it cool, remove from pan and sprinkle with powdered sugar. This entry was posted by silvia on February 23, 2010 at 5:26 pm, and is filed under Desserts. Follow any responses to this post through RSS 2.0.You can leave a response or trackback from your own site. wonderful chocolate cake!simple coincidence:a made one,too!i wish you a very good day ! Too many years ago to admit, when I was a student, I lived in Luxembourg City. We often took the train to Metz to shop or to eat some of the best cous cous in Europe, at least it seemed the best for our student’s limited budget and experience! But for we young Americans it was such fun to take the train to “another country” just for dinner! Thank you for this recipe and for bringing back to life some wonderful memories of my happy student days in Europe! What a great recipe, no butter or oil, it looks fluffy and moist. I will definitely going to try that. Thanks Silvia! For sharing such a lovely story. Well, history is always a history nothing can change it. Same to the tradition cake! I love your stories! What an interesting cake, so you get the leavening only from whipping the air into the creme and eggs? Merci, merci ! je suis très touchée. 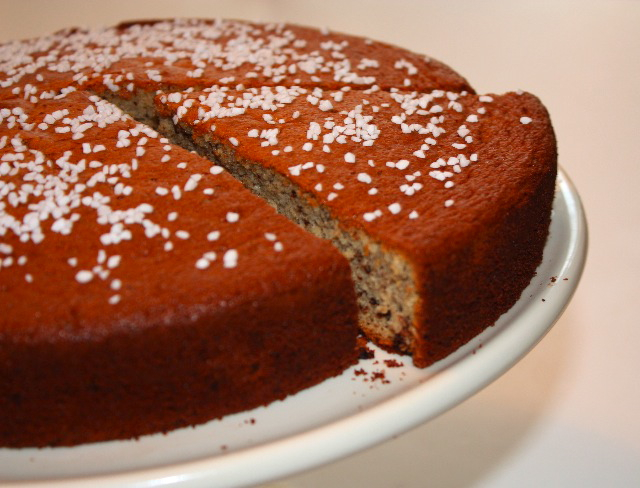 Bientôt je vais faire le gâteau de Nancy, pour qu’il n’y ait pas de jaloux ! I just discovered your blog and I love it. How do I subscribe? 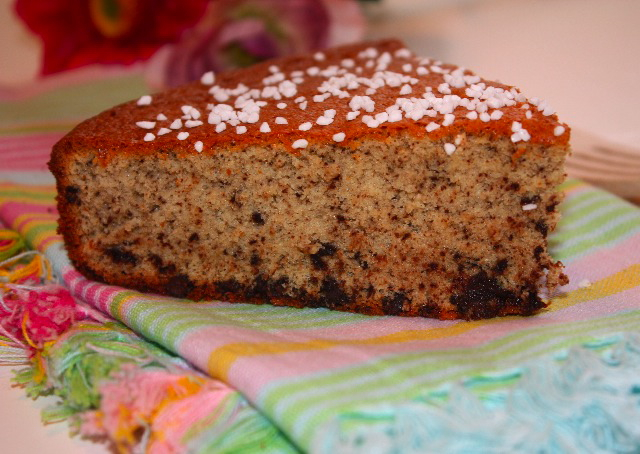 This cake is so nice, and very easy to cook, which is great. I will definitely try to cook this fabulous pie myself. Great post, thanks for sharing!